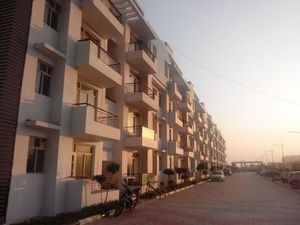 Real Estate Services in Zirakpur; 2bhk in Zirakpur;..
Savitry Greens 2 Apartments providing various amenities to the homebuyers , Gurukul global school is in the premises of the project, Kids will have no need to go far away to go to school. Club house with swimming pool, party lawns, Special health zone are some examples of leisure lifestyle for the residents.Basic amenities like Power backup, 24 hours water supply, Round the clock security keeps the homebuyers tension free. Real Estate in Chandigarh; 2bhk in Chandigarh;..